This entry was posted in Lagu, Music, Refreshing, Running Man and tagged BGM, Download All 4 One - I Swear, Download BackGround Music RM, Download BGM Gwangsoo - Yuri, Download BGM Haha Running Man RM, Download BGM Saint Agnes and the Burning Train (by Sting), Download BGM Song Jong Ki Running Man RM, download 간지럽게 (by Sweet Sorrow), Download Hot Issue - 4 minute, Download Ji Suk Jin BGM Running Man, Download Leesang, download leessang blues, Download Lesang, Download Lessang, Download No Matter How I Think About It (by Sweet Sorrow), Download Our Meeting (Uri Jigeum Manna) (우리 지금 만나) Leessang, Download Perfect Love - Lutricia McNeal, Download Pororo, Download Pretty Boy - M2M, Download Rosa - Haha, Download Saint Agnes and the Burning Train (by Sting), Download So Chan Whee - Tears, download Song Ji Hyo's BGM Running Man, download Sweet Sorrow - 간지럽게, Download The House You Live In - JYP, Download Woman Who Can Not Break up, Gwang Soo BGM, Gwangsoo, Ha Dong Hoon, Haha, Haha BGM, Haroro, Kang Gary, Kang Hee-Gun, Kim Jong Kook Running Man BGM Download, Kim Jong Kook Sparta, KJK BGM Running Man Download, Kwangsoo, Lee Gwang Soo, Man Who Can Not Leave LeeSsang, Pink Panther Theme OST Download, Pororo, running man, Running Man Background Music, Running Man BGM, Running Man Cast, Running Man Character BGM, Running Man Profile, Suk Jin's BGM ketemu gadis/cewek, Suk Jin's BGM Meet Girls, Suk Jin's Theme When Meet Girls, Yoo Hyuk Dance BGM, Yoo Jae Suk BGM Running Man. Bookmark the permalink. I’ve been looking for Kwangsoo’s theme since long time ago. Lucky me, i found your posting. I enjoyed a lot this game show, and still i am. Never get bored, always makes me laughing to crying. If i have to choose the members to be with in a team, i’ll definitely choose Kwangvatar and “Stress” Gary. I dunno whether it’s from Yoon Mi Rae’s “Get It In” as nameless say or not. Probably you can check it, since I don’t bring my Running Man collection right now. I dunno if this is the right one or not. By the way, it’s a good MV concept from Yoon Mi Rae! Check this HERE. hey there , may i know whats the background music in running man ep 154 when park jisung goal? Thank you so much karafuruworld. i’ve been looking for song ji hyo’s back ground music when she wants to attack another. it’s sounds like “whaaatt!!”. Do you know it? I was finding Running Man’s BGM by Leessang because It’s good. Any chance you have the Running Man reaction?? You know, when Haroro came out there’s this squeeky voice saying, “Pororo da…” or when Jihyo came, there’s a this cute sound “Kiko..” or when she’s angry too..
Hai Cordelle, i’ve been looking for that funny sound effects too. I’ve been googled it for a month, and finally i found this! you can find any sound effect from RM you want. From jihyo reaction, haha got shock, till sparta in gentle voice. karafuru-san… how amazing you are..
explaining about korean reality show..
btw, do you have a favourite korean drama? thank you very much! your site did help alot. I think you’ll find the sound effect that you mean, coz there so many cute sound effect from RM. but why can’t i download pororo’s short version? thank’s this website is a great help. is there other information about 유재석 ? thank you so much! nice posting 😀 have a nice day! thanks a lot…finally i got the BGM in ur blog..kamsahamnida..gumawoo..
thanx a lot ! finally i found kwangvatar theme song. much appreciate ! whoaaa.. really helpful link.. i almost give up search for pororo’s song.. suddenly i found your link.. thanks for sharing those information..
i try to find n find all here…. kam sa ham ni daa…… SPARTAAAAAA….. Anyone here know what is the background music pf epi 111 whereby *spoiler alert* green team(haha and gary) is giving their telepathy to jihyo and jongwon? woo! thank you! I already edit my post.. It’s for Gary’s telepathy. I think you can find the background music if you download your Running Man from ISubs. The problem is, I haven’t download it from there, so I can’t say the title yet. Hi, does any1 know the music backgroud for episode 110 when they choose the card to rip the tag. This is kind of weird, but the sound is like latin or brazilian rap song. “eyale hoot tarara soriya(man voice), chame mangga sorina(girl voice)”. lol, i guess it is sound like this. khamsamida..i’ve been looking for haha and kwangsoo BGM all this time…finally found it here..chongmal khamsamida unnie..
thnks bro..can u help me find bgm for jung jae hyung in ep 89 i think i already now the name “hello ghost ost ” and plus with some korean alphabet..im going crazy find that mp3..please help me man..thanks..
Hi. Can u please help me to find d title of BGM for ep 23 (if I’m not mistaking) while jong ki grab ji hyo hands in d ice field and ji suk jin was giving them d question. I’m going crazy just to find that music..
thanks . i’ve been searching for long time . hihi, can i know the song on 20120812 ? is the last part when kim jong kok and tat girl guest pulling the bell together..
but actually I can’t find the one that I’ve been looking for..
could you please find it for me? do you know the song when Ha ji won read the running man contestants’ oath ? err.. kalau BGM episode 114-115 jongkook&Geunyoung judulnya apa ya?? Hi, thank you webmaster so much for the wonderful bgms of everyone’s favourite variety show. I’m looking for 1 particular bgm which is being played in recent episodes (particularly when someone is being chased after) (ep.119 17:17-17:35), do you have it? Also, the track for JSJ’s “he House You Live In”seems broken. do you knơw the song when Hara appear ( ep 49)? can u help me shared link “ostrich sounds” in Running man Episode 121 ? do you have choi min soo bgm when in camp ? Thankyou for your posting Karafuru-ssi, now I can listen well kang gary’s BGM whenever I want. I have suggestion for all runningman fans, if you want to know most of runningman bgm on every episode, you can download those episodes from isub, here the link isubs-squad.com “if I’m not wrong for the link”. And the other BGM that must you listen is “lalala love song by jun yoo rim” and “lalala love song by as one”. When you listen this song in the morning, it will enlighten your day. Trust me. does anyone know the background track during the yoomes bond episode(s). It’s a bit different from the original james bond theme. there seems to be a different beat that has a modern beat added to it. Hello! Does anybody know Kwang Soo another soundtrack? Thank you very much for your hard work. Keep it up. wow thanks! 😀 may i repost this? I’ve been looking for all backsound on runningman since long time ago. have you watch RM episode 141, runningman animal kingdom? i just wanna know what is the title of the song that gwang soo sang while he looked at the giraffes. i mean when eun ji won just finished his mission. i hope that u can help to find that song..
when u get that song, can u send to my email??? hi did u find the song.. plizz i really want to know wat the song title..
Hello, after reading this awesome article i am as well glad to share my know-how here with friends. I just wondering Indonesian broadcast station TV, can like SBS. Make some creative programme than a FTV with violence or loving schoolgirl..
gary-jihyo perero kiss part in runningman 137 ? Anyone ? There’s a song that’s not mentioned here that still eats away at my brain though – it was recently used as the monday couple’s theme (episode 143 towel fight and 147 when their hats were switched). There’s also an instrumental version that’s played in the car-ride in episode 147 also. Any ideas appreciated 🙂 it’s such a sweet song. wow sorry – i didn’t realize it was actually a clip from lee ssang blues. sorry! move along! lol, keep up the good work! And to make up for it – found out that Lee Ssang’s Blues samples from a classical orchestral piece titled “In a Persian Market” – http://youtu.be/Q2lANtTxKYw the sampled part begins at around 1:07. Enjoy! Good day very cool site!! Guy .. Beautiful .. Wonderful . the put up, we’d like work out more strategies on this regard, thanks for sharing. . . . . .
A red wine hardly needs this consideration; it will contain abrasive materials in it. the seafood is. Such is not any better time for to program a vacations at Spain. thank you! but why some of the song can’t be downloaded? thank you so much^^ you rocks! to find high-quality writing like yours these days. I really appreciate people like you! thank you a lot! this is what I have been searching for! Hye, may anyone help me about the title for the last song that they played in RM episode 165? song on the last part when they finally found that little girl? Love the song but failed to find it. BGM opening episode 154 please…??????? Firefox, it looks fine but when opening in Internet Explorer, it has some overlapping. hi everyone… I have a question. what is the music background that is used in episode 107 where the battle between Ji Suk Jin and Shin Young was shown? Any answer would be appreciated 🙂 Thanks a lot! Hey, does anyone know for episode 181, what’s the music playing during the ‘I Love You’ game that they played? i want to know this song and i like it so much but i don’t know the tittle of this song.. RM ep 182 when Big Nose hyung diving 7.5 m at swimming pool..
Do you know what is the title of BMG at running man ep 26 time 28:05 (when gary whispering to ji hyo)? Hi! Anyone here knows the title of the song being played while they were showing how the Angel Eyes team won in the first game? The song being played @34:43 episode 190. Please. Thanks! hi anyone here knows the episode 153( bgm at 35.20 ) / episode 168 when jh and iu fighting at the ufc arena ground ? its the same metal music.ps THX! hi guys, can anyone tell me the ost for the asia race or the australia race.. the song that they play most of the time when they fly from other places to another places..
Do you guys know the song that is played on ep 147 @ 12:11 mins, where Kwangsoo falls off the chin up bar? It’s lalala~~ (followed by flamenco guitars) and stuff. It’s hilarious! Wow! Thank you so much. I also want to add. They used this a few times throughout Running Man. This is really bugging me, but what is the music for episode 167 in this clip? *spoilers* https://www.youtube.com/watch?v=NqWzCz668Zg . I was hoping for both but that one in particular was bugging me. Thank you so much! hey anyone can you guys tell me what song that played in running man ep 168 when park myung soo come at 03:13?? Running man episode 131 at 10:13 background music? Please find it ..
Any idea what song is played for Episode 201, the last game where they are trying to build fire to roast the chicken. Thanks! Anyone knows the music in ep 72 before they board the plane to hong kong ? But sorry I couldn’t find a sample anywhere. Yeah..Thats what I got too…but the beat and tune are totally different so I guess it must be another song. do have a link to download the background music of member running man? I need Backsound Choi Min Soo …. hi, anyone know BGM ep 61 when the arrived at great wall of China??? Hello. Did you know the soundtrack for episode 162 when the idols arrived at the uni until those 52 student arrived at the field? I’ve heard that song somewhere, but I couldn’t remember!! Anyone knows the piano tracks played in ep 168 at 6:54? They used this quite a lot throughout Running Man. Anyone know what song play in running man 147, when PD review the mission around minute 03:30 – 03:50 please? Anyone know the song in running man ep 142,when kwangsoo try to do long jump?? Does anyone know the music in episode 131 16:57 and episode 161 59:00? Kamsahamnida Karafuru-ssi. That really helps. anyway, would anybody tell me the background music that they played on Ep. 163, when the teams got into their cars and leaving to the paddy “muddy” field? I’m pretty sure that it was GD’s voice. thanks again. Anyone know the song in running man ep 96 when haha flying ? Does anyone know this song in running man ep 154 ? I can’t play the video, it’s on private. Do you mind telling me at what time the song was played in the episode? This song in ep 154 62:45 . You could play that clip . I have changed to public it . Thank you . Hi! Could you tell me what song is playing during episode 152 when Hyo Joo is being flung? It’s at around the 57:30 mark. Thanks! Do you know the song in eps 39 when Gary was sulking at Ji Hyo during the tea time session? Thanks Stephen…. Im also looking for BGM at eps 147 minute 3.30 when PD describe the mission, its korean song.. Does anyone know the music in episode 161 59:00? 4. BGM eps 149 when kim sook come out at beggining scene. hey guys help me to find out the song in ep 129 when kwang soo jump to pool?!! is like a rock song. do you guys know what is the song being played in running man? ( its almost always the bgm you hear when they are cooking) i think it was played by a cello or a violin..
i heard this again on exid showtime episode 8 where junghwa is about to cook a rice. hello guys. does anyone know the song title gary sung when he is about to jump off the pool in running man episode 3.reply will be much appreciated. thank you. Hi.. I wanna know the background music Running Man episode 18 from minutes 44:15 until 45:05, during Kwang Soo’s confession to Lizzy. Can you help me? Thank you. Can you please tell what the BGM in ep 195 when Nichkhun and Minzy were running to SBS building? Some of the Hangul name not accurate. KJK year of birth actually 1976. 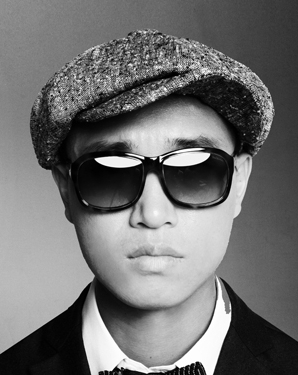 I dont know if anyone already add up in comment session about Leessang’s music Let’s Meet Now and Hard To Be Humble as Gary BGM. But HTBH often play as a team BGM. Hi. Do you know the BGM for 4:05 https://www.youtube.com/watch?v=Lk0Asbqp9rI#t=278.309147 ? Please help me, thank you. Adakah yg tw siapa penyanyi dan Lagu apa yg dibawakan saat Program acara Running man berakhir di ujung acara ada iklan Sponsor dgn tulisan2 “Korea”, yg paling akhir acara…kyk boyband…??? ada yg tw lagunya boyband siapa…??? anyone know the music from eps 131 and 168? For 131, it’s video #16 in the playlist, and for 168 it’s #14.